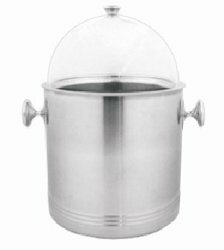 Offered in the market with heat insulated frame, these Ice Cream Dispenser are portable and easier to clean. Best in quality, these ice cream dispensers are non toxic in nature and quality checked by the experts several times before supplying in the market. Moreover to this, these dispensers are ductile in frame. Store ice cream in these ice cream dispensers and set your own temperature in which it should be. Make your ice cream stay in the texture you like and creamy. In order to keep pace with the requirements of the clients, we are offering a quality range of Soft Serve Ice Cream Dispensers. The Soft Serve Ice Cream Dispensers we offer is widely demanded for its sturdiness and reliability. Moreover, offered products are highly durable. 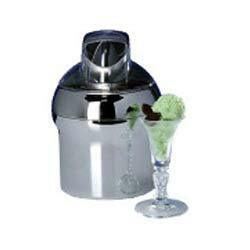 Our company has gained immense accolades in the field of offering Ice Cream Dispenser to the clients. This product is available in various specifications and can be effectively customized on specific needs of the clients within promised time frame. This product is acknowledged for easy operations, sturdy construction and long functional life. This product is widely demanded in the market.